Every year at Thanksgiving, we get together with friends and family, tell stories and list the things we’re thankful for. But most importantly… we EAT! Erin - My mom’s cheesy potatoes. Mashed potatoes are overrated. 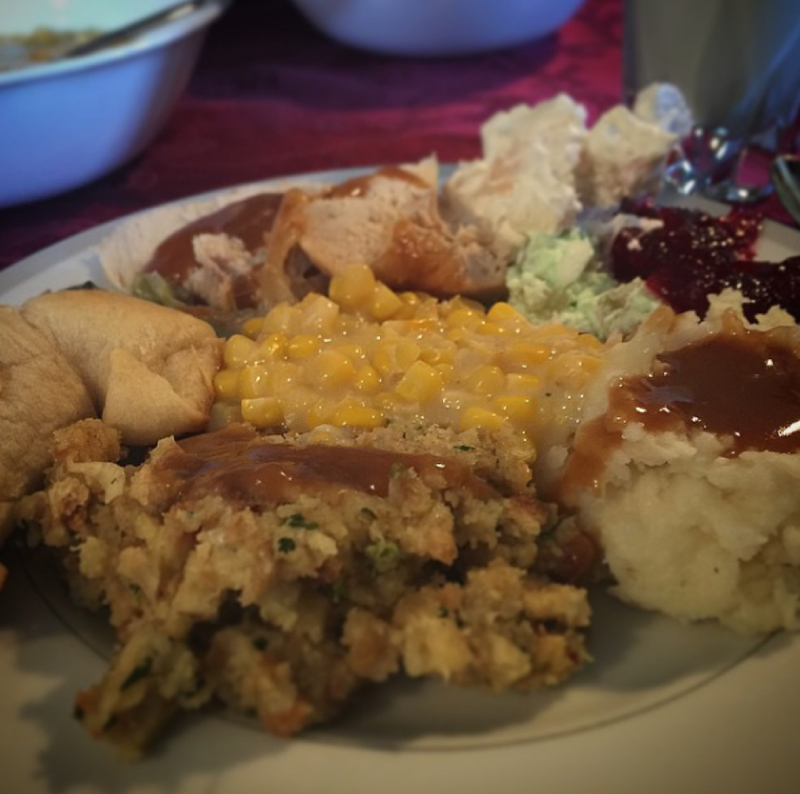 Dave – Turkey & Gravy & Stuffing & Mashed Potato’s & Corn & Cranberry Sauce & Everything! Mark – In general, I love stuffing. But my uncle makes, hands down, the best stuffing on earth. The special ingredient?? Spicy Andouille sausage. Michael - Left-over turkey sandwiches, with mayo, jellied cranberry sauce, and stuffing. Monica - Sweet potatoes with marshmallows. Because who doesn’t love it? Coco - I love dressing that has MN Wild Rice in it, but my absolute favorite is Green Bean Casserole. Maureen - I didn’t realize just how much I liked Mashed potatoes and gravy (or how obvious it was) until the one Thanksgiving I “wasn’t eating carbs”. That’s when my shocked, and slightly disappointed, grandmother informed me she always makes extra mashed potatoes specifically for me on Thanksgiving because I always have extra helpings. Happy Thanksgiving everyone! We hope your food tastes as good as this sounds.